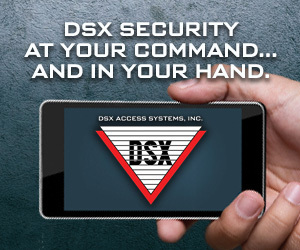 Extending the coverage of traditional access control is expensive and intrusive. But there is a fast, easy and cost-effective alternative. Forget about keys and the hassles of key management by upgrading to Aperio® wireless locks. Battery-powered Aperio® RFID-equipped cylinders, escutcheons, handles and locks can be fitted as part of a new access control system, or extend an existing installation by linking new doors to the same system wirelessly. There’s no need for staff to change their access key-cards, nor for anyone to carry more than one credential. 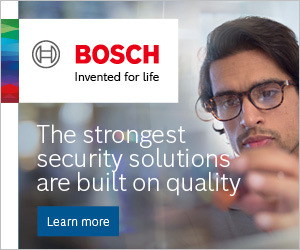 Aperio® locks work within almost every major access control system on the market, from over 100 different manufacturers. And they are energy-efficient. Aperio® wireless locks run on standard batteries and only “wake up” when presented with a credential. They are not connected to the mains, and use no power when inactive. The only maintenance needed is a new standard battery on average every 40,000 cycles (typically 2 years). 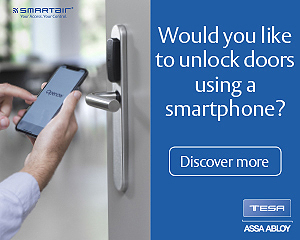 Installing wireless locks is more cost-effective than hard-wiring more doors, because there’s no cabling or invasive building work around the door. Faster installation also means less disruption to everyday business — a key advantage in fast-moving sectors. Magnus Svensson, Infrastructure Manager at Lund University. The transition at Lund was practically invisible. The university’s existing MIFARE® smart cards were retained, so there was no need for 42,000 students and 7,500 staff to return their cards for reprogramming, or even to reactivate their permissions via updaters. Aperio® devices with built-in RFID readers fit almost any opening or security level. AperioÒ locks protect both exterior and interior doors, from fire and escape route doors to meeting rooms, labs and offices; wooden, glass or aluminium doors are all suitable. The portfolio includes cylinders, escutcheons, handles and complete locks for security doors. Aperio® locks are compatible with all common lock profiles: Euro, French, Finnish, Scandinavian and Swiss. Integration with your existing system can be Online or Offline.